After the video was released, experts around the world noticed that some of the artifacts were fake. They could tell the statues were made of plaster. However, Mosul’s exiled governor Atheel Nuafi confirmed there were some originals within the museum. “I think the Winged Bull is very important locally, because it’s one of the few objects that hasn’t left the country or gone to Baghdad,” described Eleanor Robson, the chair of the British Institute for the Study of Iraq. Nuafi also believes the terrorist group ransacked the museum and stole some of the valuables. 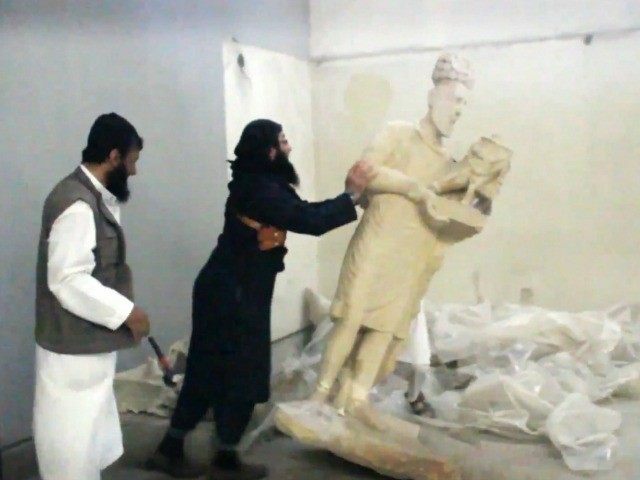 The Islamic State destroys museums, shrines, and tombs because to them they are idolatry. But they are not stupid and sell valuables to antique collectors. This practice alone turned the jihadists into billionaires.